The British Virgin Islands (known as the BVIs) are undoubtedly one of the prettiest holiday destinations in the world, lying to the east of the large island of Puerto Rico. Consisting of over 100 islands in the sparkling blue waters of the Caribbean Sea, many of which are uninhabited, the British Virgin Islands are the perfect luxury holiday destination. 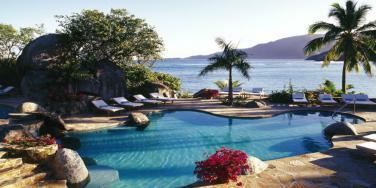 Exclusive resorts are scattered across the BVIs, some occupying private islands to ensure complete tranquility and seclusion. The BVIs are widely regarded as a sailor's paradise - there are numerous yacht clubs and yacht charter companies on the islands, so contact Tropic Breeze to discuss your yachting holiday. The British Virgin Islands were in the path of Hurricane Irma so unfortunately many of our partner hotels and resorts have sustained some damage. As tourism is such an important industry for the islands, we will continue to support our travel partners and are hopeful that all hotels that have been affected will be able to repair and rebuild quickly - please call our friendly team on 01752 880 880 if you have any questions about future travel to the British Virgin Islands. The area offers one of the most spectacular cruising grounds in the world and is a mecca for yachtsmen, thanks to reliable trade winds, short easy passages and perfect anchorages. There are numerous yachts available for charter, by the day or by the week, either bareboat (ie without crew) or fully catered and crewed. Tropic Breeze offers hotel holidays to luxury resorts in the British Virgin Islands, as well as sailing holidays on board the finest yachts in the Caribbean. 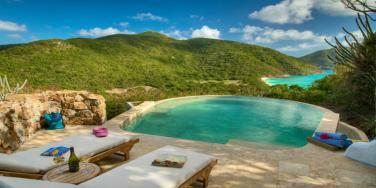 Guana Island and Peter Island Resort & Spa both occupy private islands, Cooper Island Beach Club shares an island with just a few other houses, while Sugar Mill Hotel is located on one of the larger islands. 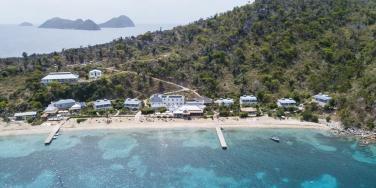 Sunsail and The Moorings both allow guests to choose between skippered and independent yacht charter. 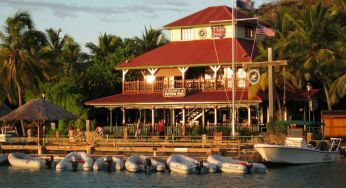 For those who wish to combine a hotel stay with days spent on the water, Bitter End Yacht Club offers shoreside accommodation as well as sailing courses and various excursions. The British Virgin Islands are full of gastronomic delights - click here to read about our top ten dining experiences in the BVIs. Diving and snorkelling are superb, with many reefs and cays as well as over 100 recognised dive sites. Most hotels and charter yachts have snorkel equipment available for hire, but if you are keen to make the most of the superb snorkelling, we recommend that you take your own equipment. 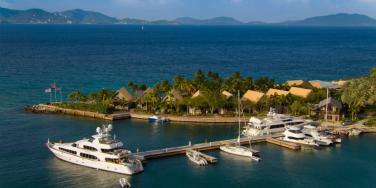 There are plenty of dive operators, many of which will meet you at your yacht or hotel. Access to the British Virgin Islands is via Antigua, with onward travel by local airline to Beef Island and speedboat to the relevant island. Call our travel specialists on 01752 880 880 to discuss your holiday to the British Virgin Islands or browse the accommodation options below.